It is billed the world’s first aerotropolis, but more than the catchphrase, Dubai South is all about building a community for the people. The master developer has doubled down on this commitment by keeping the development “very human scale, very user friendly”, according to Mohammad Al Awadhi, CEO of Dubai South Properties. Among other things, this means keeping the residences and lifestyle amenities comfortably within reach of the very people who will work and live in Dubai South. Pricing is one of the biggest hurdles to achieving this goal, and Al Awadhi says this is an area the master developer is keenly monitoring. Average prices at The Pulse, for instance, were deliberately kept at a competitive level when it was launched in 2016, according to Al Awadhi. Developed at a cost of Dh1 billion and now 90 per cent sold, The Pulse will have 1,200 apartments and town houses, along with a mall, mosque, hotels and other amenities, with the first housing units to be delivered this year. These will be the first freehold residences to be completed by the master developer in Dubai South. The developer’s policy of keeping prices competitive apply to its other projects in Residential City, such as Parklane and The Villages, although other areas have been earmarked for more niche projects catering to the luxury market. The vast majority of housing developments, nonetheless, will be branded as “affordable”. Catering to the lower rung of the housing ladder, however, entails more than freehold development. 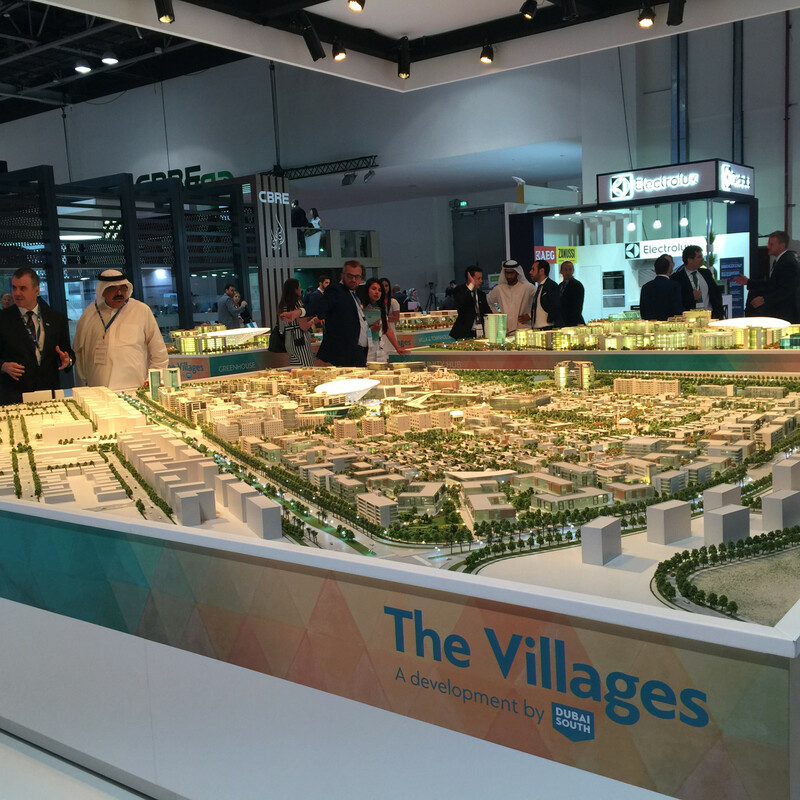 For Dubai South, this means adding an affordable leasehold component to the housing mix. In fact, Dubai South Properties’ first housing development was a leasehold staff accommodation called Sakany. Located in the Logistics City of Dubai South, the first phase of Sakany is already fully occupied with 6,000 people living in 1,140 units across 10 buildings. Phase two, expected to be completed in the third quarter, will add 12 buildings, including one dedicated to female staff, and accommodate around 11,000 people. Two more phases are in the drawing board, along with parks and a retail project called Sakany One. Apart from staff accommodation, the residential complex will also have leasehold residences under Sakany One, which will ultimately bring the total number of residents in the community to 50,000. Sakany One, which will have studio, one-, two- and three-bedroom apartments, will start construction in 2020. The residential options at Dubai South are currently located in Residential City and Golf City, which are both freehold zones, and Logistics City, which is a leasehold zone. Emaar is developing half of Golf City with its Emaar South project. Overall, there are now around 6,000 housing units in Residential City and some 8,000, including those in Golf and Logistics City. Al Awadhi says Dubai South is responsible for around 40 per cent of homes within Residential City, while the rest are by developers such as Mag Group and Damac. The train network, which will serve all districts of the 145-sq-km Dubai South and is planned to connect to the Dubai Metro, has been “approved in terms of planning and designing,” says Al Awadhi, but he declined to specify an exact date for its construction. However, work is already ongoing for the Dubai Metro’s Route 2020 extension connecting the Red line to the Expo 2020 site, which is part of Dubai South. To complete the push for affordability, Al Awadhi says Dubai South has partnered with schools and health care providers to offer more competitive rates to residents. “[We want] to limit the tuition fees at Dh28,000 average,” he says. Built around Al Maktoum International Airport, which will be the largest international airport once all elements are in place, Dubai South will take several years to complete its numerous components, but Al Awadhi promises significant progress during the lead-up to the World Expo. In particular, he says the Residential City will see big changes this year.